This Procter and Gamble soap opera, broadcast on the CBS network, was based on the radio soap opera of the same name. Don McLaughlin and Virginia Dwyer played the same roles on the television version that they had played on the radio version. Virginia Dwyer, lead actress on this series, and Walter Gorman, one of the directors, were married to each other in real life. I have 3 episodes of the soap in my vintage soap opera collection. The radio version of The Road of Life had been popular since 1937 when Irna Phillips and Procter & Gamble decided to bring the drama to television. Replacing The Seeking Heart, the serial focused on three generations of two families, the Brents and the Overtons, and their long feud in the town of Merrimac. Don MacLaughlin and Virginia Dwyer, who had starred on the radio version, repeated their roles as Dr. Jim Brent and Jocelyn McLeod, the foster daughter of rich Malcolm Overton. Since this was a medical drama (remembered chiefly for its opening; "Dr. Brent,...call surgery. Dr. Brent,...call surgery"), poor Jocelyn was afflicted with every dread disease known to man and some never known, including "rubimortis," and the dreaded "Meniere's syndrome." 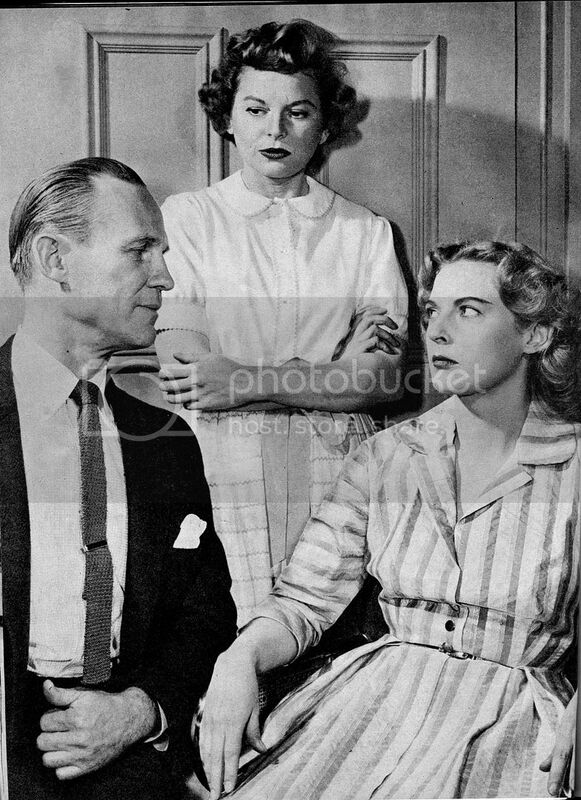 On the short TV version, spiteful Sybil Overton was furious that happily married Jim Brent did not return her affections. She had Jocelyn arrested for "technically" kidnapping Sybil's child, then had Jocelyn classified as an "undesireable alien" when Jocelyn returned from Samoa after medical treatments. In one of his earliest TV roles, Jack Lemmon had a short run on the show as a supposedly nerves-of-steel surgeon. His stint his chiefly remembered for a tense operating room scene in which he turned to a nurse and barked, "Give me the hypodermic needle!" 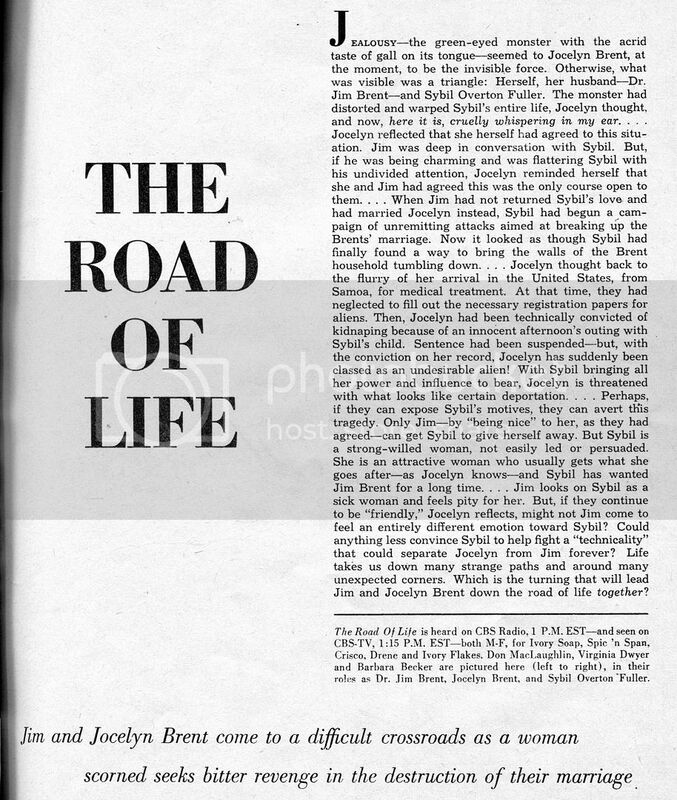 Although Road of Life was cancelled on television in less than a year, it continued on radio until 1959. MacLaughlin later starred for over a quarter of a century as Chris Hughes on As the World Turns. Dwyer played Mary Matthews on Another World from 1964 to 1975. The show was written by Charles Gussman, produced by John Egan, and directed by Walter Gorman, who was Dwyer's off-screen husband. Nelson case served as the narrator. It ran daily for fifteen minutes at 1:15 P.M., E.S.T., following The Inner Flame. CBS was determined to expand it’s hugely popular lunch-time soap block of Valiant Lady, Love of Life, Search for Tomorrow, and The Guiding Light. It had premiered the television version of the radio soap Portia Faces Life 8 months earlier to a lukewarm response. Even so, CBS paired Portia with The Seeking Heart 3 months later. When TSH didn’t live up to expectations, both CBS & Procter & Gamble (TSH’s sponsor) decided to go in a different direction and cancelled TSH in favor of this series, the television version of the hugely popular radio soap which had premiered in 1937. Clearly hoping to follow in the footsteps of fellow P&G soaps The Guiding Light and The Brighter Day which had successfully made the transition to television, Road continued their story simultaneously on both radio and television, the TV version airing immediately after the radio show's broadcast had ended. Road focused on Dr. Jim Brent and his wife Jocelyn as well as Jocelyn’s well-to-do yet quite dysfunctional wealthy family, the Overtons. Despite Road’s huge popularity on radio, the audience for the TV version was small, primarily due to the fact that few CBS affiliates aired network programming during the 1:00pm – 1:30pm timeslot (this fact also negatively affecting the viewership and ratings of Portia which immediately preceded Road on the schedule), opting instead to air local programming and news. During the Spring of 1955, Portia changed its name to The Inner Flame, possibly in an attempt to be more compatible with The Guiding Light in terms of nomenclature. It didn’t help. If the affiliates weren’t airing the series than the viewers, no matter how much they loved the radio versions, couldn’t watch and both Flame and Road left the airwaves on the same day less than 4 months later. Road’s failed attempt at television didn’t hurt its radio audience in the least and continued to air on the CBS Radio Network until 1959 when the golden age of radio soaps began to wind down. When it left the air for good, The Road of Life had clocked in an impressive 18 year run, making it one of the most successful and longest running soap operas in radio history. It also didn’t hurt the soap careers of 3 of the series actors. Dr. Jim Brent was played by Don McLaughlin who, less than a year after the end of the TV version, began the role that would make him famous and beloved among soap audiences – Chris Hughes on As the World Turns. 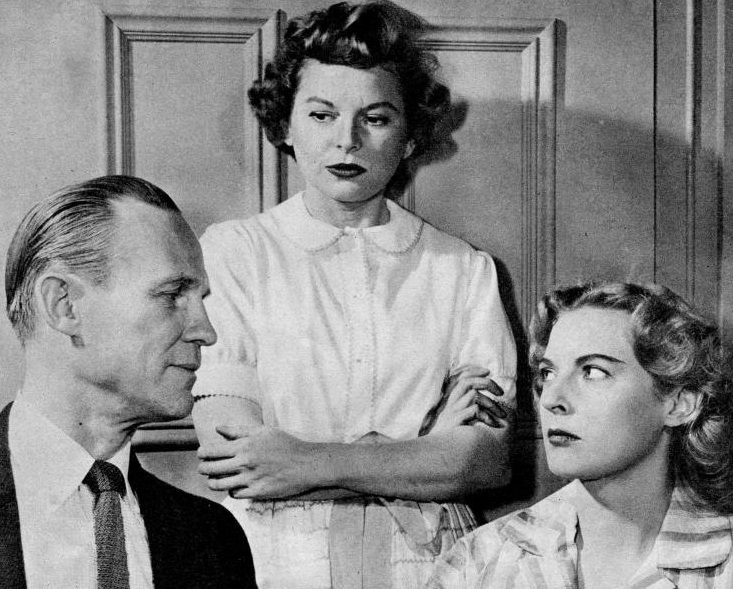 The actress who played Jim’s wife Jocelyn (Virginia Dwyer) went on a decade later to play the matriarch of another of soaps’ most beloved families – Mary Matthews on Another World. Elizabeth Lawrence, who played Francie Brent, went on to play Virginia Dancy on The Doctors and Myra Murdock on All My Children. In the 1940's,whilst playing Dr Brent on radio, Don MacLaughlin was also doing the leads in a Western- 'Tennessee Jed','David Harting,Counterspy', and a show beamed to the armed forces- 'Chaplin Jim'. No wonder many radio performers disliked the advent of TV where they had to work harder and were limited to one role. In a radio interview several years before he died Larry Haines talked about this and how he used to go from playing a romantic lead to a psycho killer a few hours later. I really think America lost a lot when they decided to just shun radio drama. This is what I have for this show's cast. If anyone can fill in any blanks, thank you. According to an article from "Radio-TV Mirror," Mooch was played by Frank Behrens. Teri Keane was on the radio version of "Road of Life" in the late 1950s as Jocelyn McLeod Brent. She may also have appeared on the television version, but I don't know for sure. I think Gordon Fuller was dead prior to the show premiering on television. I'll look again. In the television version, the main plot was the complicated love affair between Sybil Fuller, Jim Brent, Jocelyn Brent, and Armand Monet. Sybil was attempting to have Jocelyn sent back to Samoa, where she had been living prior to arriving in Merrimac. Jim and Jocelyn plotted to convince Sybil that Jocelyn was in love with Armand Monet. The hope was that Sybil would reveal her role in the scheme if she felt Jocelyn was no longer a threat. Complications to the scheme included Lil Monet, Armand's estranged wife, and Jocelyn's pregnancy. Later, Sybil was involved with Randy Ogden, a financier, but that was when the show was radio only. That Sybil is something else.